So Why Tamper With The Data? 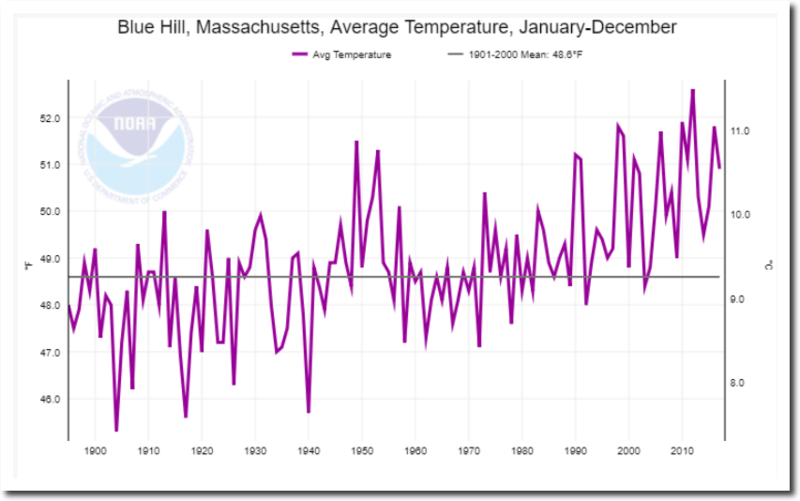 Eli Melaas is bragging that Blue Hill, MA has the best temperature record in the US. And he provided this graph. This is what the actual USHCN daily data looks like. I plotted four versions of the graph – Melaas, USHCN raw daily, USHCN raw monthly, and USHCN adjusted monthly. As you can see there is a huge spread, other than the two raw data sets which agree almost exactly. Here is the graph from the NOAA web site. Essentially identical to the USHCN adjusted. 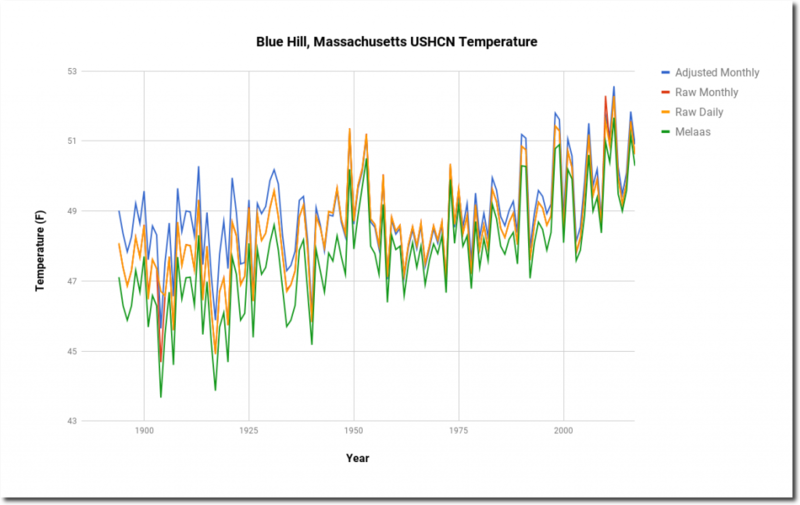 Blue Hill is one of the few USHCN stations where NOAA warms the past with the adjustments. Melaas version of the data shows a lot more warming than other data sets. 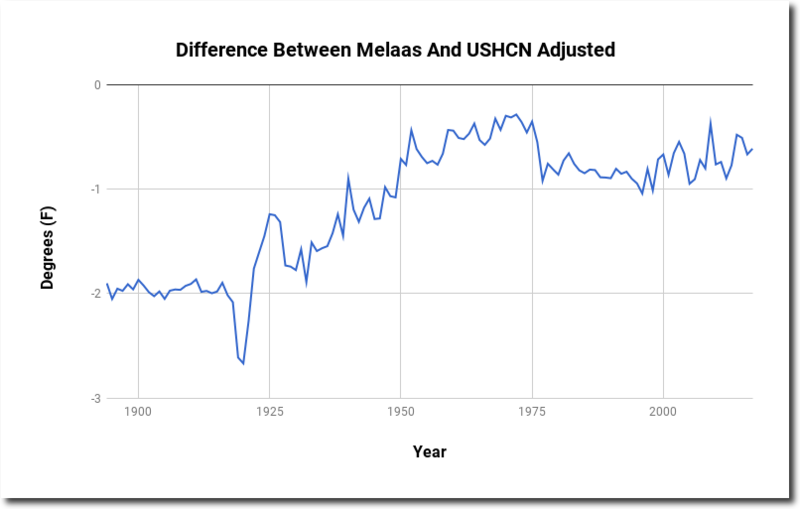 Here is the difference between Melaas and USHCN adjusted temperatures. 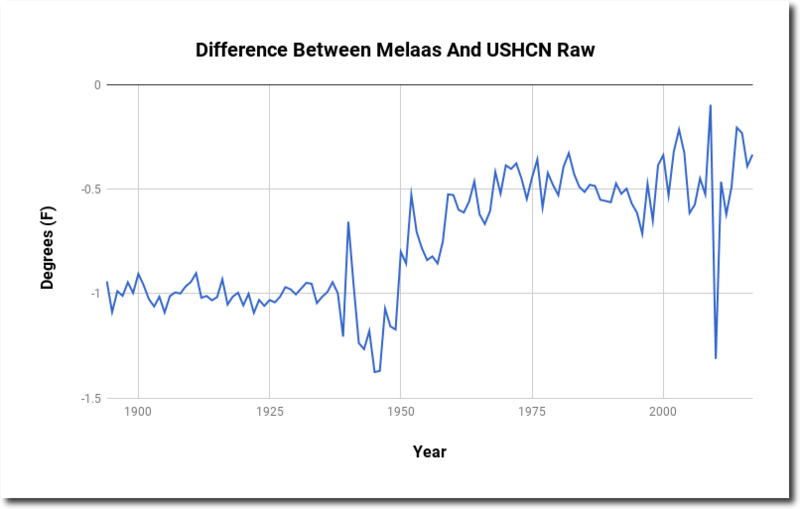 Here is the difference between Mellas and USHCN raw temperatures. If the Blue Hill station is so good, why is the data being tampered with? And why does Melaas’ graph show so much more warming than the other graphs? 10 Responses to So Why Tamper With The Data? What is also interesting is the wind speed graph. 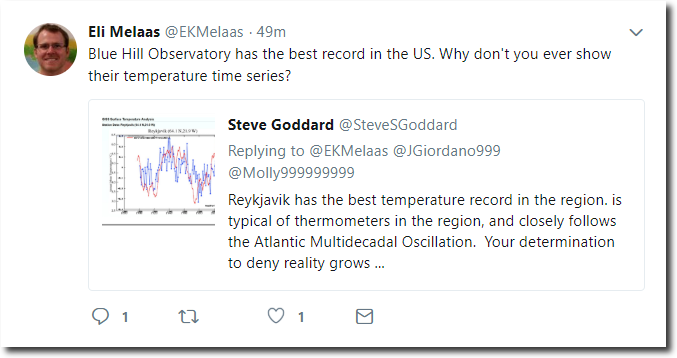 And seriously , with an annual mean temperature of around 10ºC why the heck are they complaining about warming !! 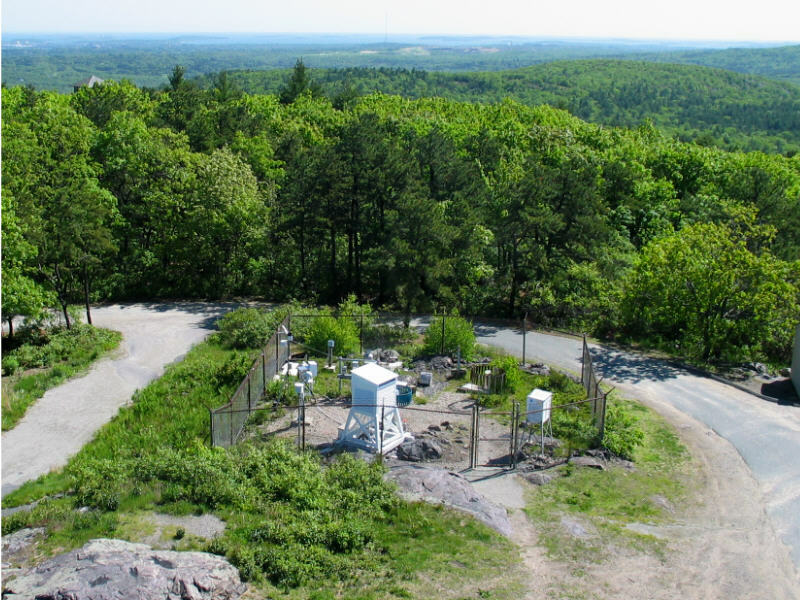 A satellite photo shows a rather large propane tank, so at some point a propane heater was added to address that cold temperature of the observatory building. 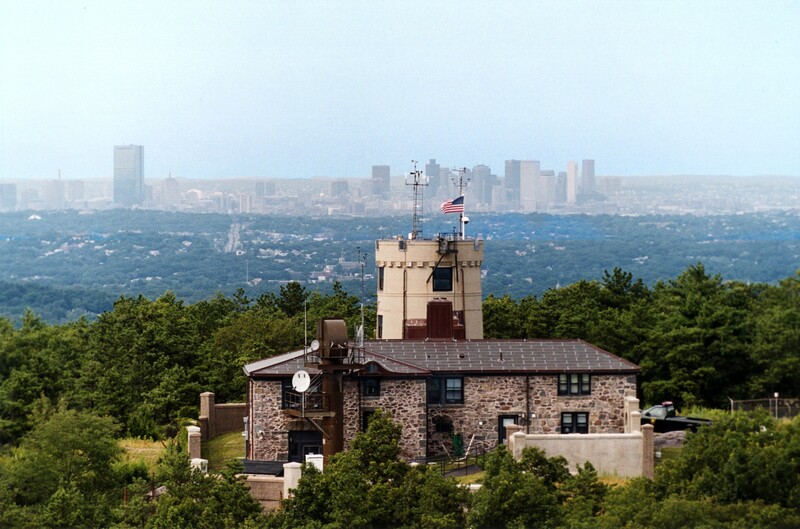 The 98,000 Watt FM transmitter for WGBH was constructed at the site in 1951. 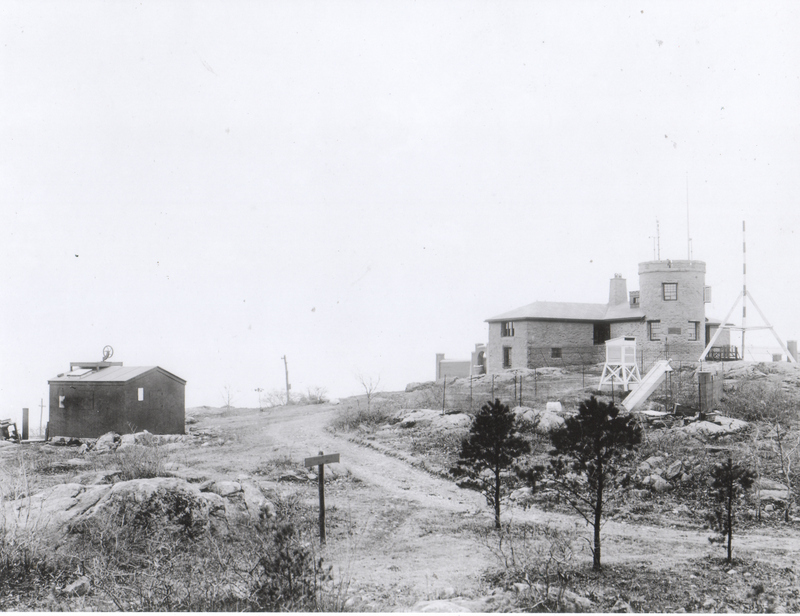 Construction of the ski area on the hill began in 1935. In any case, the site is not pristine and there is certainly encroachment of modern life and heat sources. Here’s a picture of the screen open with someone learning on it petting a dog. And when were the walls built? They are not in the earlier photos. Looks like they have done everything they could to make the place more WARM AND COMFORTABLE !! They have GOT TO BE JOKING. A desolate site, to this?? Maybe they can’t stop themselves. If you look at GISSTEMP’s LOTI (Land Ocean Temperature Index) from March and April of this year, you will discover that 954 out of a possible 1803 changes were made. Really, 53% of the historical Land Ocean Temperature Index was re-written just last month. And they will do it again next month and on and on and on and on! They are doing this in broad daylight and getting away with it. 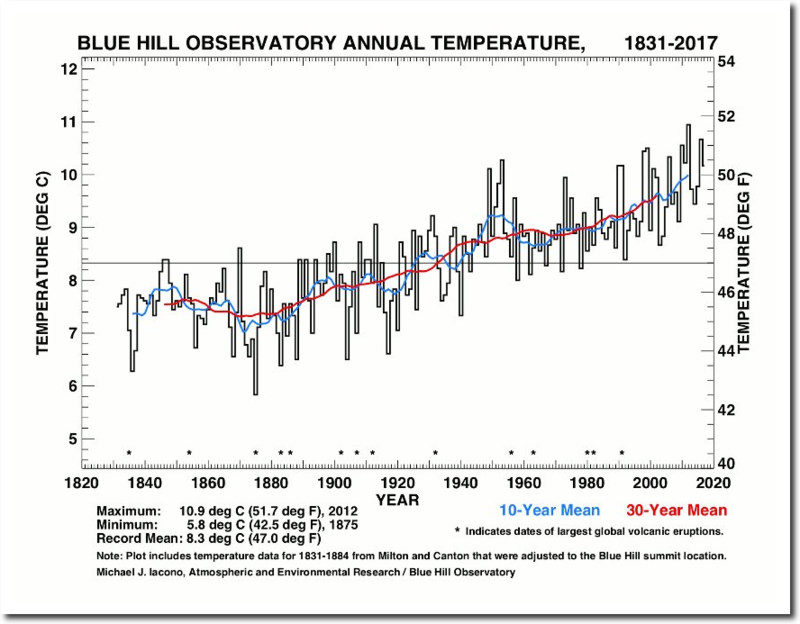 The record shows that on this ridge in the Shawangunk Mountains, about 20 miles south of the better-known Catskills, the average annual temperature has risen 2.7 degrees in 112 years. Of the top 10 warmest years in that time, 7 have come since 1990. 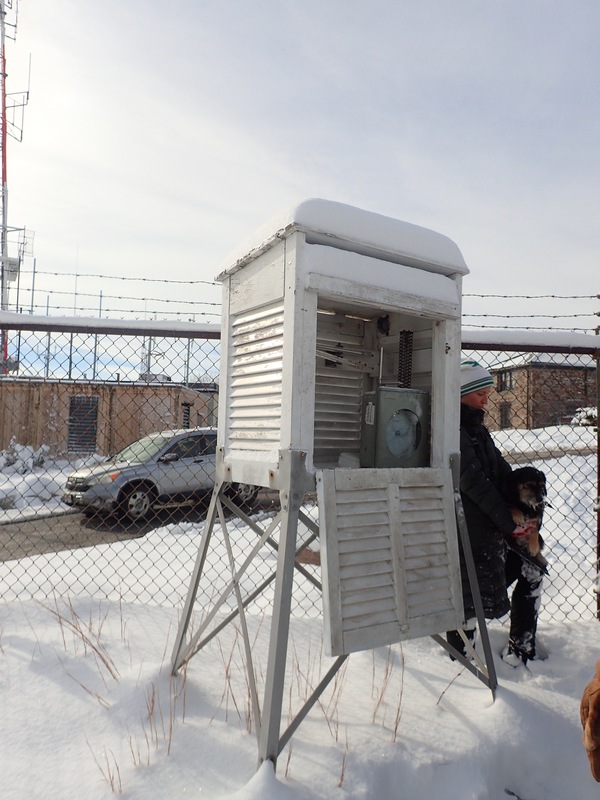 Both annual precipitation and annual snowfall have increased, and the growing season has lengthened by 10 days. Tony, that warming is clearly due to the Urban Heat Island Effect. A better example would be WestPoint vs NYC. There is also the longest continual thermometer record in the US in UpState NY that shows no warming.